The house, which still features a thatched roof and remains detached, was built by Kommandeur (Commander) Harrsen in 1751. Original features, such as wooden beams and painted ceilings, were lovingly restored in keeping with the exclusive luxury of a modern country house. This is a place where you feel at home from the first moment on - but especially in the evenings, when you can relax in front of an open fire. You can enjoy maximum privacy here. Sophisticated materials are in keeping with the stylish atmosphere, enhanced by numerous works of art. The garden, more than 1000 m2 in size, is a real gem: facing south and not overlooked, it offers plenty of space for a family holiday in complete privacy. Exclusive holiday home for a perfect holiday on the island of Föhr. Scandinavian flair in the bedrooms. Ideal for relaxation. The 146 m2 ground floor boasts, among other things, a luxuriously appointed living room and a fully equipped kitchen. Next to this is an idyllic dining room leading into a family room with a fireplace as well as a bathroom and two bedrooms (1 double bed and 1 single bed). On the upper storey, which is more than 100 m2 in size, there are two further single rooms and a large games room with a table-tennis table. The plot covers an area of over 1000 m2 and has a secluded, lush green garden with a patio, recliners and a wicker beach chair. Superior furnishings and equipment in our Kommandeur House in Nieblum. The house has well looked-after wooden flooring throughout. The ground floor reflects the Flemish style, while the upper floor features white gloss in keeping with the Swedish style. The furniture and accessories were carefully selected and combined to enhance the nautical character of this house. The spacious garden was designed by a renowned landscape architect. The sunny patio is surrounded by a magnificent display of flowering plants. You will find few places on the island of Föhr where you can relax in such stylish surroundings. The ideal location for the perfect holiday on the island of Föhr. The Kommandeur House is in the heart of Old Nieblum. An ice cream parlour, restaurants, cafés and shops are just around the corner. In summer this village is transformed into a lively holidaymaker's paradise that is just a few minutes from the white sands of an extensive beach. As soon as you enter the ground of the spacious Kommandeur House, you can enjoy the peace and quiet in the house and the garden in perfect seclusion after an eventful day. 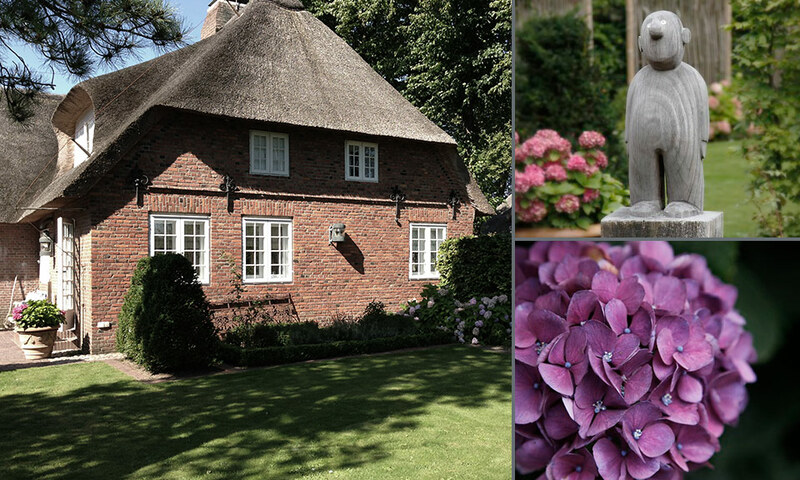 Located in the centre of Nieblum, this stylish Frisian house is the ideal base for a relaxing holiday. The recently refurbished houses are individually furnished in a nautical style and sleep two to five or even twelve. A quiet garden with a patio and a private sauna is perfect for relaxing after enjoyable days spent on the beach.